2017 Grammy® Award winner Alexander Lipay is the principal flute of the Tucson Symphony. He holds the same position with Tucson Pops, True Concord Voices and Orchestra, St. Andrew’s Bach Society Chamber Orchestra and Sunriver Music Festival. 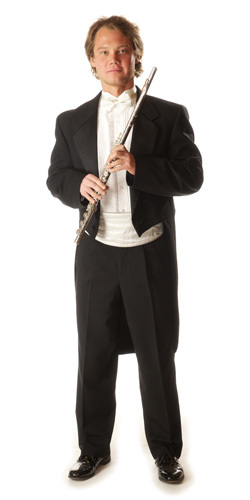 He has performed as guest principal flute with San Diego Symphony, Seattle Symphony and Seattle Opera. Lipay has performed as a soloist with the Seattle Symphony, Tucson Symphony, St. Petersburg Philharmonic, St. Petersburg Symphony, Hermitage Orchestra, True Concord Voices and Orchestra, St. Andrews’s Bach Society Chamber Orchestra and Arizona Chamber Orchestra. He has also appeared as a soloist at many music festivals including the International Music Festival “Musical Olympus” in St. Petersburg, Russia, International Music Festival “Moulin d’Ande” in France, and the Sunriver Music Festival in Oregon. He is the Grand Prix winner of the 2015 International Festival-Competition of Arts “St Petersburg Christmas Assembly,” the first prize winner of the 2004 MTNA Young Artist National Woodwind Competition, and the first prize winner of the 2002 Santa Barbara Performing Arts Competition. Lipay holds a Master of Music degree from the University of Southern California and a Bachelor of Music degree from the University of California Santa Barbara, where he graduated with two majors: flute and piano.